With its clean lines and symmetry, this home radiates grace and style. Inside, cathedral and tray ceilings add volume and elegance. The foyer gives columned entry to the formal dining room. The angled island kitchen is open to the breakfast bay and vaulted great room with fireplace and back porch access. Secluded at the back of the house is the vaulted master suite with skylit bath. 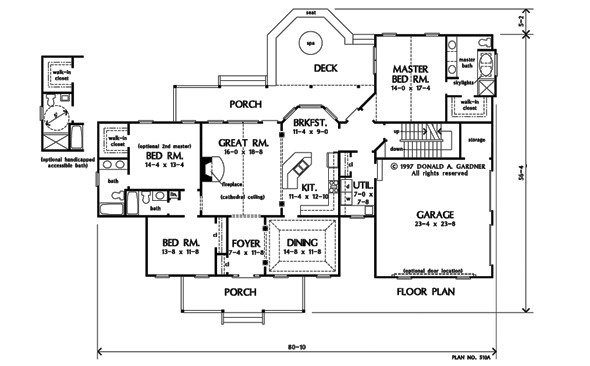 Of the two secondary bedrooms, one acts as a second master suite with its own private bath, and an alternate bath design creates a wheelchair accessible option for the disabled. 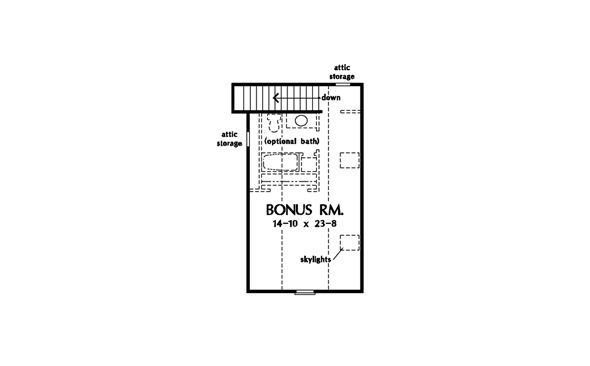 The bonus room makes a great craft room, playroom, office, or optional fourth bedroom and bath. 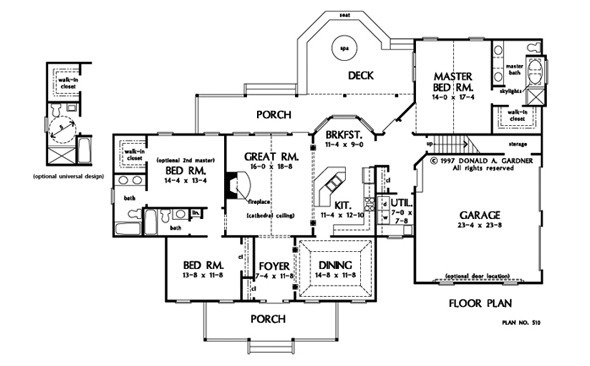 House Dimensions: 80' 10" x 56' 4"
Dining Room (Tray): 14' 8" x 11' 8" x 10' 8"
Great Room (Cathedral): 16' 0" x 18' 8" x 19' 8"
Bonus Room : 14' 10" x 23' 8" x 9' 4"
Master Bedroom (Cathedral): 14' 0" x 17' 4" x 16' 2"
Bedroom #2 : 14' 4" x 13' 4" x 9' 0"
Bedroom #3 : 13' 8" x 11' 8" x 9' 0"